Quite possibly the best jam I've ever made! These preserves are tart and zippy, just the thing to accompany cheeses, meats and game. I followed the recipe exactly but found the result too tart from the lemon juice and quince and a bit too hot from the fresh ginger so I ended up adding 2 tbls. more sugar to tone it down a bit to my taste. Next time I think I will cut the amount of fresh ginger in half to start with and add a bit more ginger tasting as I go. I used 4 oz. Mason jam jars and ended up with 5 and a bit extra left over. I find that using these smaller jars for condiments makes for less waste when they are opened. I use a soup kettle that has a flat bottomed steamer insert to water bath process these tiny jars. They are way too small for my large water bath kettle that I use for 8 oz jam jars and other larger canning jars. Marisa McClellan was an adult in a high-rise in Philadelphia when she rediscovered canning, and found herself under the preserving spell. She grew accustomed to working in large batches since most "vintage" recipes are written to feed a large family, or to use up a farm-size crop, but increasingly, found that smaller batches suited her life better. 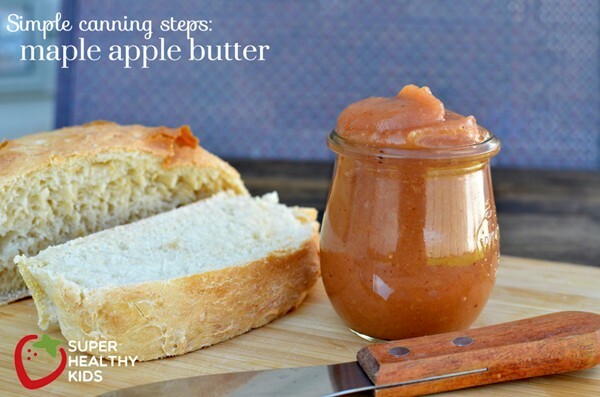 Working with a quart, a pound, a pint, or a bunch of produce, not a bushel, allows for dabbling in preserving without committing a whole shelf to storing a single type of jam. 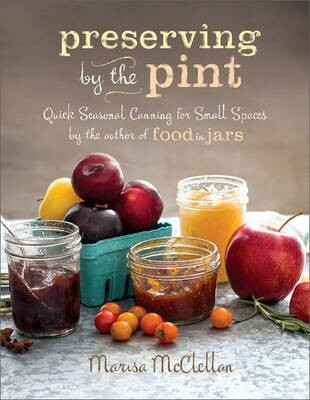 i>Preserving by the Pint is meant to be a guide for saving smaller batches from farmer's markets and produce stands--preserving tricks for stopping time in a jar. McClellan's recipes offer tastes of unusual preserves like Blueberry Maple Jam, Mustardy Rhubarb Chutney, Sorrel Pesto, and Zucchini Bread and Butter Pickles. Organized seasonally, these pestos, sauces, mostardas, chutneys, butters, jams, jellies, and pickles are speedy, too: some take under an hour, leaving you more time to plan your next batch.